5 Spots To Celebrate National Cheeseburger Day! 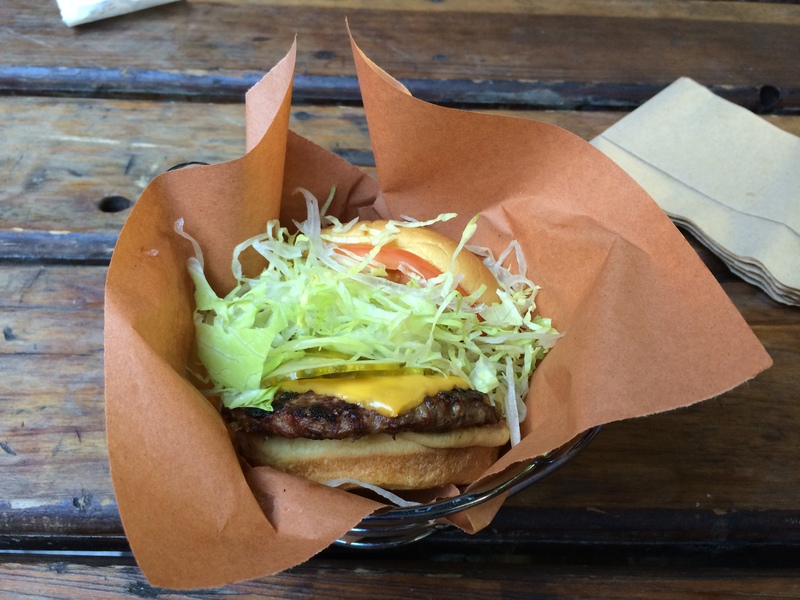 – 5 Spots To Celebrate National Cheeseburger Day! 5 Spots To Celebrate National Cheeseburger Day! Hurray, it’s National Cheeseburger Day! Where are my burger lovers? This post is for you. Now I must be honest, cheeseburgers are not high on my foodie list so I had to consult a dear friend of mine who is THE burger expert. We put our heads together and decided on 5 perfect spots perfect to celebrate this national holiday. Get your mouths ready, this one is going to be good! 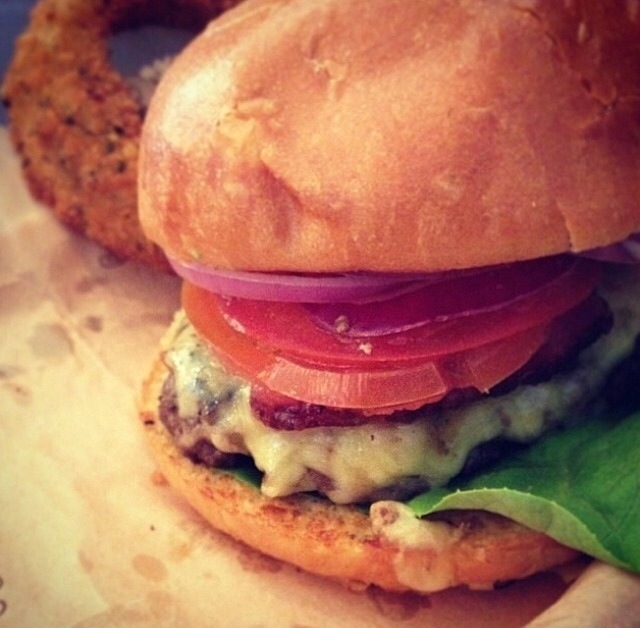 Bareburger is popping up everywhere so that means they must have a lot of delicious burgers to offer. More so, they pride themselves in offering pasture and humanely raised meats. We believe that’s what makes Bareburger a step above the rest. What also provides elitism to these restaurants is the option to create your own burger. You not only have a choice between a variety of meats (such as beef, turkey, buttermilk fried chicken and veggie patties) but you can choose your bun, veggies, cheese, bacon and sauces. (By the way, we think buttermilk ranch is delicious!) These days, everyone loves options and Bareburger provides all the options you need. 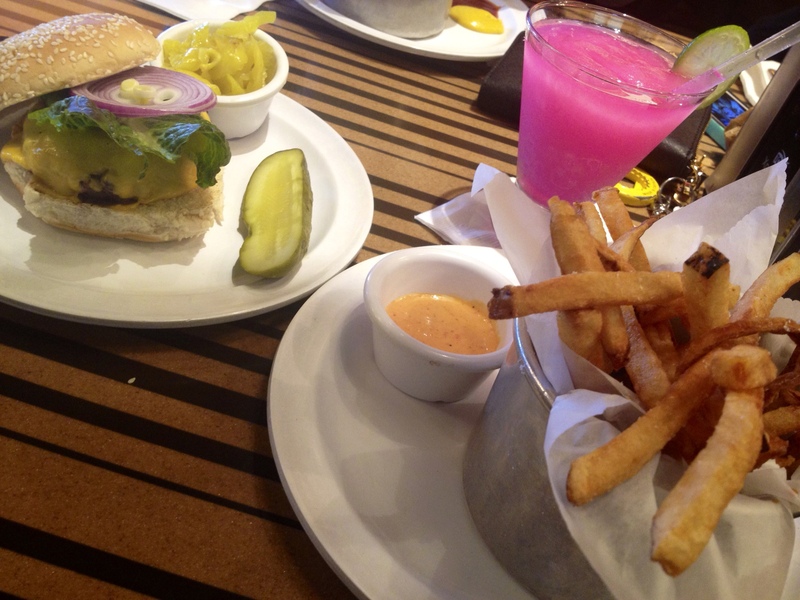 Bobby Flay is the chef behind Bobby’s Burger Palace so you know these burgers have to be good. Their menu is pretty small but each burger is packed with flavor and personality. 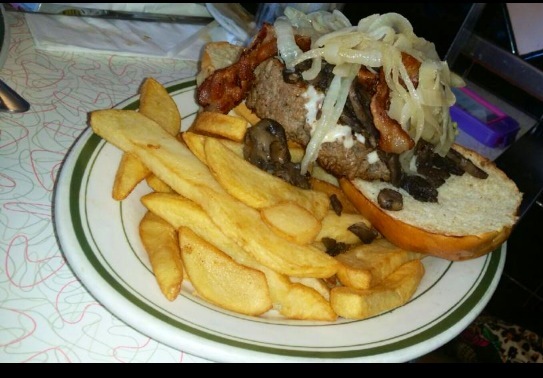 My favorite burger is the Bobby Blue Burger which is topped with blue cheese crumbles, bacon, lettuce and tomato. But before you order any burger on this menu make sure that it is crunchified! Crunchified means that your burger is topped with potato chips. Chips in a burger? Who would’ve known. Also whichever side you choose to accompany your burger, make sure you taste bobby’s dipping sauce, it is amazing. Lastly, the Frozen Cactus Pear Margarita is a must add to this combination, it has and will put a smile on my face each and every time! Soho Park is a hidden treasure in Soho. I honestly randomly stumbled upon it while walking around in Soho. What drew me in was their open, relaxed and garden-like feel. Soho Park is a nice place to grab a burger and chill out with friends. You order your food, they give you a license plate and you take it to your seat. When you food is ready, they bring your food to you. Their burgers are light and refreshing yet filling. Harlem Shake has an old fashion twist on the more modern burger spot. Our favorite part of this old fashion twist is they serve Coke in the old school Coca Cola bottles. That’s something you definitely don’t see anymore these days. Harlem Shake is located in the heart of Harlem and is named after the infamous dance, “Harlem Shake” which means it has history and flavor. This combination is demonstrated in their decor and their burgers and hot dogs. Jackson Hole is famous for their huge 7 oz burgers. These massive burgers can not entirely be eaten by the average burger lover so most people take half of it home. 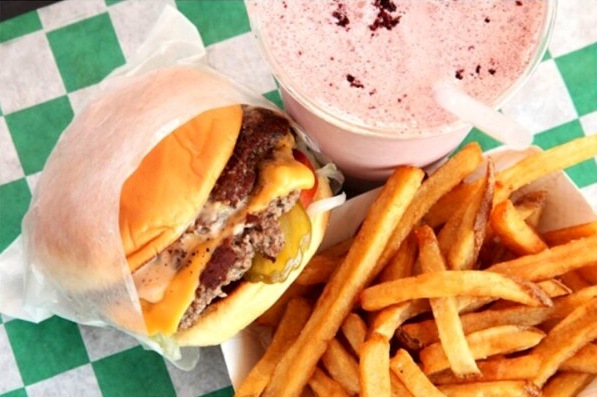 Not only are their burgers huge and delicious, their milkshakes are amazing! Jackson Hole is a diner but it’s burgers are not average and don’t give you that boring diner food feel. Trust me, this burger experience is like none other. Spread Love The Brooklyn Way At Sweet Chick!